United Church Outreach Ministry :: Bruce's Blog :: Gardening Is Not Just for Yuppies Anymore! Gardening is not just for yuppies anymore! UCOM’s (United Church Outreach Ministry) old-fashioned research (asking people what they want) resulted in an overwhelming consensus from the people living in our service areas that they would LOVE to garden. So UCOM became a garden spot. Most people were more interested in having their own gardens instead of being part of a communal gardening project, so this week we worked with ten neighborhood families and installed a 4×4’ square foot garden box in their yards. More information about the project is at ggn. Accommodating to their ability needs. So these box gardens are chair height. People can garden without bending over too much or they can garden sitting down. o If it is theirs. Ownership is important. People want to grow what they can grow and do with the produce what they want (eat it, sell it, share it, or give it away to whomever they wish). o If there is variety. 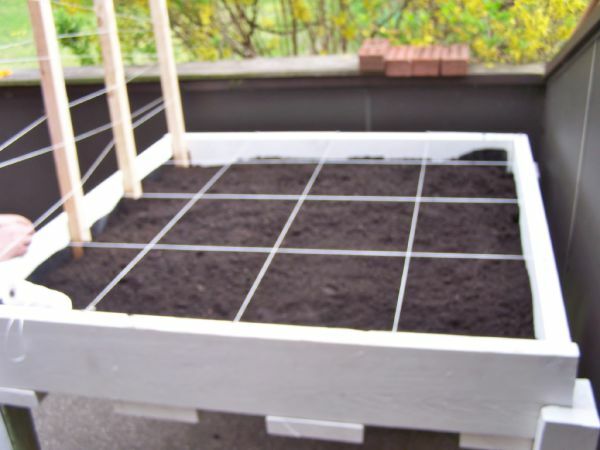 These 4×4’ square foot gardens accommodate up to 16 different “crops”, including up to 4 trellised crops. People choose what they will grow from a wide variety of seeds that your donations to UCOM provide. o If they have someone to consult with questions about their gardens. This is where you come in. We have arranged with our neighborhood gardeners to have volunteer gardeners come to see their progress periodically and help them to trouble-shoot and anticipate the best gardening techniques. They also have the opportunity to meet monthly with a farmer or master gardener at UCOM as a group to address a wide variety of gardening topics, relevant to them. Garden boxes are just one of several projects UCOM will introduce and “grow” over the next five years.